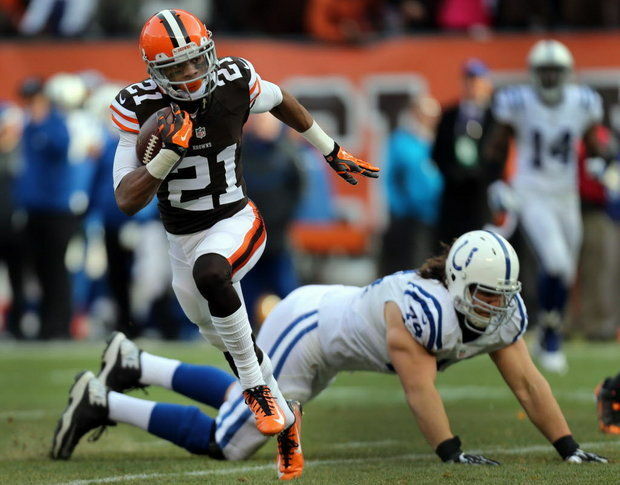 A little more than 12 months after he walked across the stage at Radio City Music Hall, Cleveland Browns cornerback Justin Gilbert has transformed into the team’s invisible man. Which is exceedingly hard to do when you were the eighth overall pick of the 2014 NFL Draft. While not as spectacular as fellow rookie Johnny Manziel‘s failed first year in Orange and Brown (and certainly not as publicized), Gilbert had a debut season in Cleveland that left him nowhere to go but up. To find out how Gilbert is doing that, check out our latest post at Dawg Pound Daily.